The rise to prominence of the term “global health” has occurred in parallel with the popularization of globalization, an enhanced awareness of common vulnerabilities, and a feeling of increased shared responsibility for inequalities present in the world today . With the increase in Worldwide Trade, Tourism and Migration the movement of people around the world continues to grow day by day. Disease does not respect boundaries. The diverse range of contexts in which the term is found emphasizes how interdisciplinary and multidimensional global health has become . Despite the ongoing growth in the field of Global Health there continues be no no widely agreed definition of the term, and often continues to be used interchanably with other terms such as Public Health and International Health. Firstly what is health? In the simplest of terms it is a state of "not being sick". The World Health Organisation defines Health as "a state of complete physical, mental, and social well-being and not merely the absence of disease or infirmity.” But, what do we mean by "Global Health," as opposed to "Public Health" or "International Health?" Koplan et al (2009) examines the areas of overlap between these three health disciplines identifying the key characteritics of each and attempts to draw out the primary distinctions between these three terms, the summary of which is represented in the table below. Similarly, Marušić, identify the need for a common definition to ensure clear and effective communication across the multidisciplinary field that makes up the Global Health Sector. In the absence of consensus on the scope of Global Health, Batams & Matlin consider what is distinctive about the field of Global Health. In order to understand a broad concept, like global health, it is important to consider where it comes from. The history of global health has developed from two major trends that shaped global health organisations including the control of infectious diseases and the development of health care systems and structures. Overall, as the world became increasingly interconnected global health moved from the imperial concerns of “tropical medicine” to include more nations and other international organisations in the formations of international health policy. However, though the concept of global health changed greatly since its beginning, infection control and delivery of healthcare remained important core features of global health. Discoveries in medicine and public health in the 19th Century as a result of ongoing infectious disease outbreaks like cholera were central to the development of modern epidemiology with many of the microorganisms responsible infectious diseases identified e.g. malaria in 1880 and tuberculosis in 1882. The 20th Century saw further medical advances in particular in relation to development of preventive and curative treatments including penicillin in the 1920s and vaccine for tuberculosis, BCG. The eradication of smallpox, with the last naturally occurring case recorded in 1977, raised hope that other diseases could be eradicated as well. Following World War II Important steps were taken towards global cooperation in health with the formation of the United Nations (UN) and the World Bank Group, with the World Health Organisation following just a few years later in 1948 which was spurred on by a cholera epidemic in Egypt in 1947 and 1948 with a huge loss in life . The WHO published its Model List of Essential Medicines, and the 1978 Alma Ata declaration underlined the importance of primary health care . 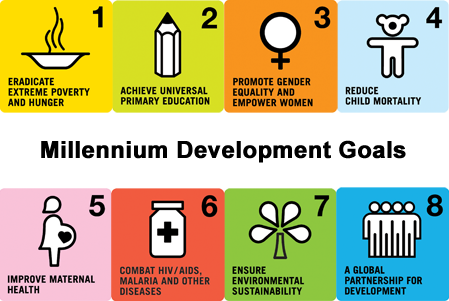 The Millennium Development Goals, eight broad goals which reflected the major challenges facing human development globally, were declared at a United Nations Summit in 2000. The Millennium Development Goals (MDGs) are the world's time-bound and quantified targets for addressing extreme poverty in its many dimensions-income poverty, hunger, disease, lack of adequate shelter, and exclusion-while promoting gender equality, education, and environmental sustainability. They are also basic human rights-the rights of each person on the planet to health, education, shelter, and security. According to the UN, these MDGs provided an important framework for development and significant progress has been made in a number of areas  . Despite massive commitment and global investment progress has been far from uniform across the world-or across the Goals. There are huge disparities across and within countries and some MDGs have not yet been fully realised including maternal, newborn and child health and reproductive health . 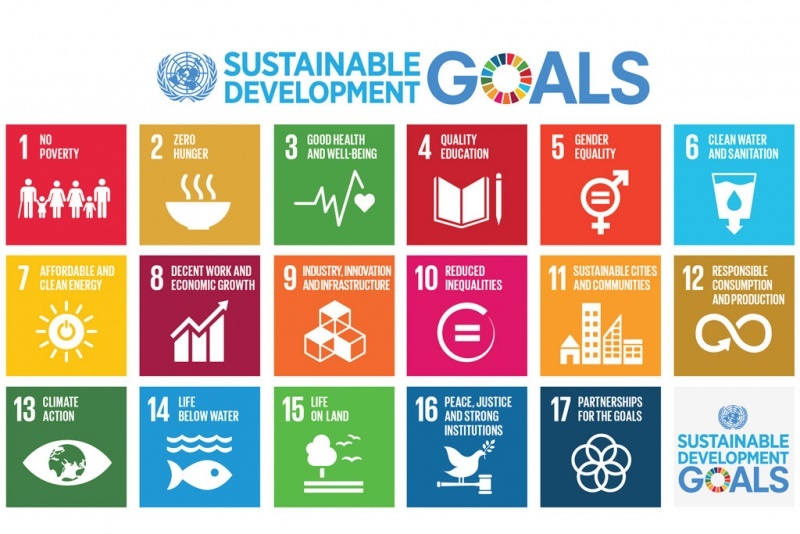 Building on the MDGs, a new Sustainable Development Agenda with 17 Sustainable Development Goals (SDGs) has been established for the years 2016-2030. On 25 September 2015, the 193 countries of the UN General Assembly adopted the 2030 Development Agenda titled Transforming our world: the 2030 Agenda for Sustainable Development  . Global health manifests itself in the diversity of culture, geography, demography, epidemiology, economics and gender. Successful global health interventions require a deep understanding, appreciation and concern for the social milieu of populations, their behaviors, customs, and beliefs. When approaching global health, it is important to understand medical interventions alone do not solve public health problems. The issues are much more complex. It is also essential to understand the links among health, education, development, poverty and equity. Global health as such implies a global perspective on public health problems, suggesting issues that are common across the world and working collaboratively to try and address and manage these issues. ↑ Macfarlane, S.B., Jacobs, M., and Kaaya E.E. (2008). In the name of global health: trends in academic institutions. Journal of Public Health Policy, 29(4),383-401. ↑ Beaglehole R, Bonita R. What is global health? Glob Health Action. 2010; 3: 10. Published online 2010 Apr 6. ↑ Haines, A., Flahault, A., and Horton, R. (2011) European academic institutions for global health. Lancet, 377(9763),363-365. ↑ Marušić A. Global Health-Multiple Definitions, Single Goal. Annali dell'Istituto Superiore di Sanità. 2013 Mar;49(1):2-3. ↑ Batams, S & Matlin, S. Global Health Dilpomacy Briefing: Discussing a Definition of Global Health. Global Health Programme, Graduate Institute, Geneva. June 2013. ↑ North Western Medicine Center for Global Health. What is Global Health?. http://globalhealth.northwestern.edu/about/what_is.html (accessed 2 November 2016). ↑ World Health Organisation. "History of WHO". Archived from the original on 2006-12-07. ↑ Primary Health Care: Report of the International Conference on Primary Health Care (PDF) (Report). Geneva: World Health Organization. 1978. ↑ 10.0 10.1 10.2 "Transforming our world: the 2030 Agenda for Sustainable Development .:. Sustainable Development Knowledge Platform". sustainabledevelopment.un.org. Retrieved 01-12-2016. ↑ "Transforming our world: the 2030 Agenda for Sustainable Development .:. Sustainable Development Knowledge Platform". sustainabledevelopment.un.org. Retrieved 01-12-2016. ↑ Richard Skolnik, Global Health 101 (Essential Public Health) 3rd Edition. Jones & Bartlett Learning, 2015. p3-10. ↑ Beaglehole R, Ebrahim S, Reddy S, VoÛte J, Leeder S, on behalf of the Chronic Disease Action Group. Prevention of chronic diseases: a call to action.fckLRLancet. 2007; 370: 2152–57.